This is a set of 6 venturis, or chokes if you want, for the 46mm versions of the famous 3-barrel Weber IDA carburetors. Available from our stock in 36 mm but other sizes are available on request. Please contact us for other sizes that you may require. 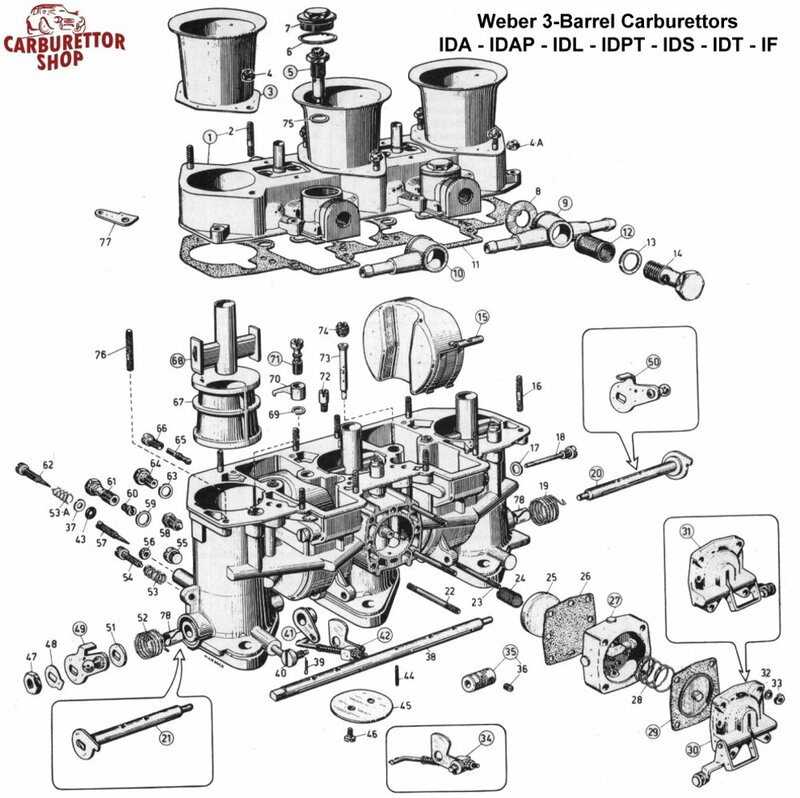 Required quantity per 2 carburetors: 1 set of 6 ! This is item number 67 in the drawing. Please note that the 40 mm versions use a different venturi!